Mom’s Country-Green Beans Recipe is so delicious! 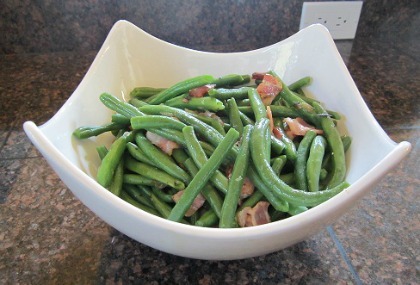 Of course, everything is better with bacon – and this green bean recipe is one of those recipes! My mother used to prepare a similar green bean recipe, but she always cooked the green beans “to death.” I just updated her version to this very delicious and healthy dish that still includes the bacon and onions. My husband loves Mom’s Country-Style Green Beans and wants me to make it every time we have fresh green beans. He says it reminds him of the green beans his mother used to make. * Not all green beans are alike. The longer the beans are on the vine, the tougher they get. Either pick or purchase fresh, young beans - look for beans that easily snap in half when you bend them. Wash green beans thoroughly and drain. Break off the end (the top and tail) as you wash them. Leave green beans whole or cut into 1-inch pieces (your choice). In a large saucepan over medium-high heat, bring 3 quarts of water to a boil. Add green beans and cook, uncovered, approximately 8 to 12 minutes or until the green beans are crisp-tender and still have that vibrant green color (taste one to see if it is cook properly; the beans should still be very crunchy - Do Not Overcook). Remove from heat, drain off the liquid, and rinse the beans under cold water to stop the cooking process. Set aside. In a frying pan over medium heat, cook the bacon and onion. I like to fry the onions along with the bacon as this gives the onions a caramelized taste. When done, the bacon should be crisps and the onion translucent or soft. Do Not Drain Off the Bacon Grease! Turn the heat to low and stir in the cooked green beans, salt, and pepper. Stir and heat only until the beans are warm. This green bean casserole is considered the ultimate comfort food and one of the most popular side dishes served on Thanksgiving in America. Most holiday meals (especially Thanksgiving and Christmas) wouldn’t be complete without this green bean dish. 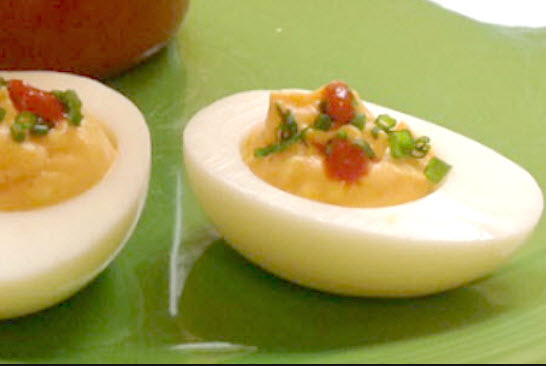 My grandmother made a recipe nearly like this, and with her 2 acre garden, we ate it all summer along with many other wonderful vegetable recipes. Nearly like this… but not exactly. She, too, cooked the beans far longer than we do today for a side dish, but hers was only moderately a side dish. She started with a pound of bacon, dicing it and cooking it in the bottom of a Dutch oven until crispy and the fat had all rendered. 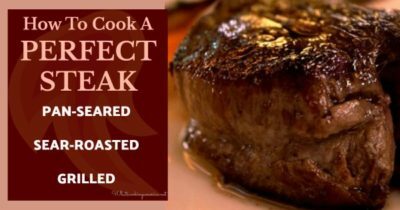 Then she removed the bacon and added an entire Walla Walla sweet onion, diced, and cooked that in the bacon grease until it was translucent. That done, she added the bacon back in and filled the pot with her fresh green beans, de-stringed and snapped about 2″ long, added in a teaspoon of black peppercorns, and filled the pot with water to an inch over the green beans. This was brought to a boil and simmered for about an hour. This was served at dinner in bowls, along with the juice, which was really now a bacon broth, and we ate it like a bean soup with whatever was for dinner. We had it for lunch by the bowlful, along with bread and butter to sop up that lovely broth.